Double light source through two super bright LEDs. Two patented lighting systems generate two light bands. Effect: bright radiant light surface perception already from a very far distance. ProsBright, lightweight, fits Brompton 2017. 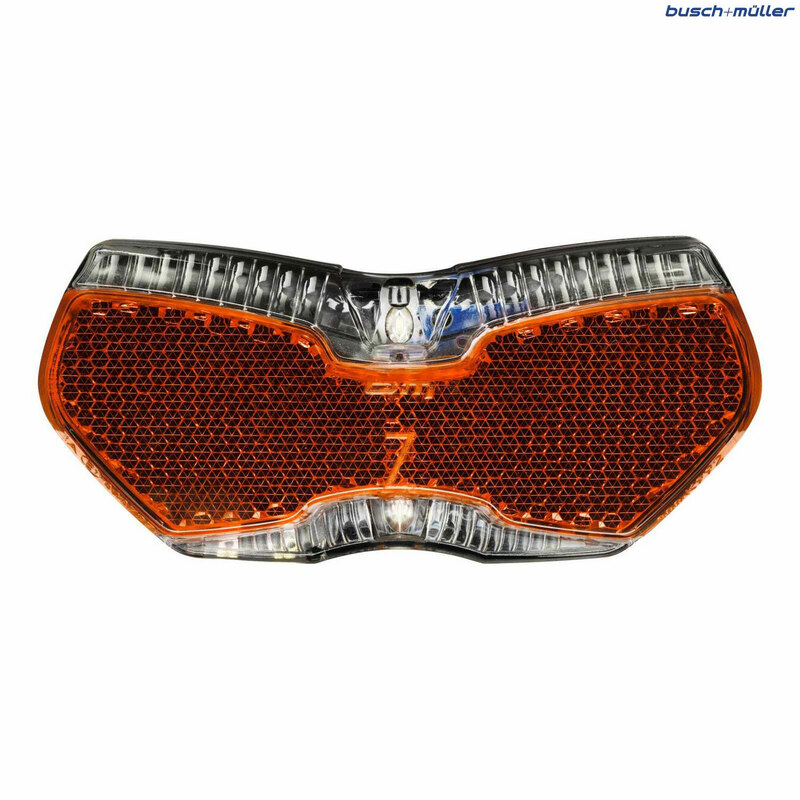 I have use various Busch & Muller dynamo lights and have them to reliable, this model is slim and lightweight and bright. Light and compact, easy to fit, and gives an excellent light, which spreads over the entire surface area. Will It Fit (Brompton Rear Rack) ? I would like to replace the Brompton rear dynamo light on my rack with this light. Will it fit ? As this light can be used with a 50mm bolt spacing and your Brompton rear rack/light also uses a 50mm spacing you should be fine to fit this light in replacement of your current one.